Roland's ka-tet remains intact, though scattered over wheres and whens. Susannah-Mia has been carried from the Dixie Pig (in the summer of 1999) to a birthing room (really a chamber of horrors) in Thunderclap's Fedic Station; Jake and Father Callahan, with Oy between them, have entered the restaurant on Lex and 61st with weapons drawn, little knowing how numerous and noxious are their foes. Roland and Eddie are with John Cullum in Maine, in 1977, looking for the site on Turtleback Lane where "walk-ins" have been often seen. They want desperately to get back to the others, to Susannah especially, and yet they have come to realize that the world they need to escape is the only one that matters. 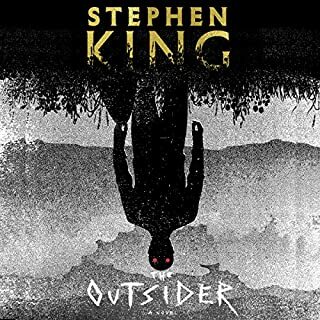 ©2004 Stephen King (P)2004 Simon & Schuster Inc. AUDIOWORKS is an imprint of Simon & Schuster Audio Division, Simon & Schuster Inc. This recording has many glitches/audio problems. Would have enjoyed it more if it didn't have so many problems with a digital skip or scratch noise. 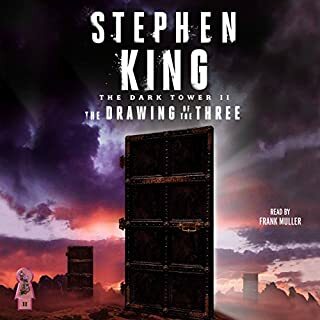 Stephen King has brought me across countless ages, and dimensions, my quest for the tower has been formidable, walking with Roland and the tet. Now my quest has ended, or has it? Excellent production from start ro finish George Guidell did an exemplary job finishing where Frank Muller left off. Amazing finale to an incredible journey! There were a couple aduio issues here and there but nothing that ruined the book. Great conclusion to a story you don't want concluded. What a ride this whole story was. Just loved this whole series. I am so sad this is the last book. If you have made it this far into the series you have to fet this last book. Pretty interesting ending. I have never committed so fully to an epic saga. a masterpiece. and what a way to end it. so sad that it's over and no way I can ever do it all again. beautiful. If you haven't done so, read the entire series. Take your time, you are in for a journey. Not just in the reading. A journey with these characters, this story, that will touch, anger, move, scare, warp your mind and stay with you long after the ka-tet is broken. Guidall's narration is mesmerizing. 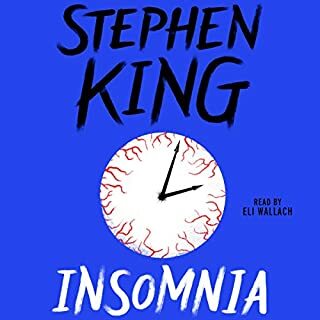 Have read the first six books and thought I'd try listening to the last one to savor it and make it last longer. I'm through the third disk and I'm so glad I did this. 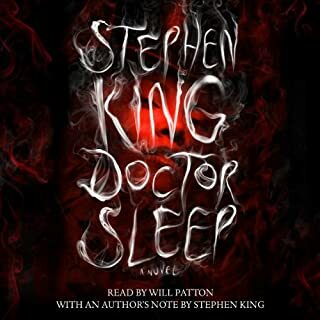 King is a master and the narration brings all my fav characters to life. Highly recommended. 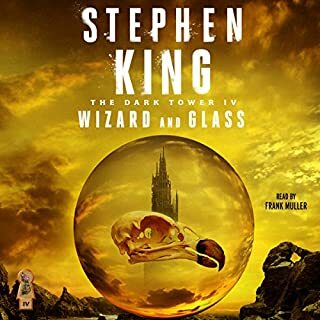 <B><U>The Dark Tower: </B>The Dark Tower VII</U> concludes a journey that I have thoroughly enjoyed for over 15 years. 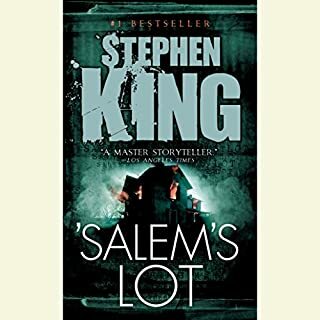 The writing of this tale, which began June 19, 1970, has weaved its way through Stephen King's life and all of his stories. I have never read more than a few words of this long tale. 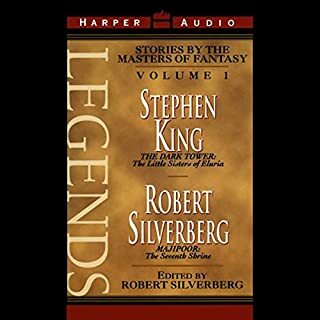 I have, whether on tape or on CD or on download from audible, listened to these wonderful stories over countless hours of my life. In that time, as did the author, I got married, have started a family; have lived my life. 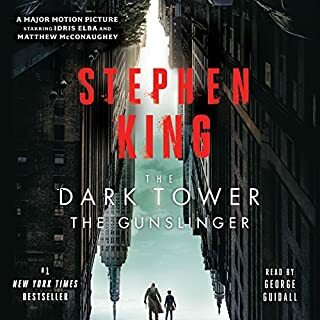 I count none of that time as wasted and listening to <B><U>The Dark Tower</U></B> was always a pleasure; even the time between volumes was a pleasure as I waited once again to rejoin my old friends. With the journey at an end, I will not miss them but will continue to revisit them, as I have all these years past. 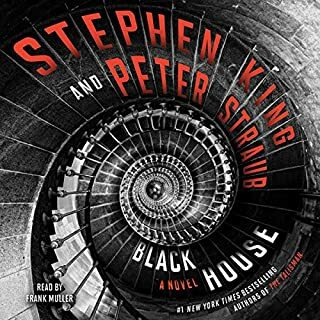 I invite you to begin at the beginning if you are new to the tower, as other reviews have and as the author himself has implored. 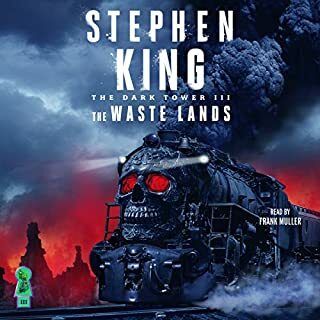 In a previous review, I suggested the third volume as an alternative starting point, and I still think that a good place to start as well, as I consider <U>The Waste Lands</U> to be the most exciting volume. It is, after all, the place where Roland's final Ka-Tet comes together. With regard to this final volume and more specifically, its narration, George Guidall comes into form. His reading of the last days of Roland's quest is impeccable in its voice and his knowledge of the characters is complete. 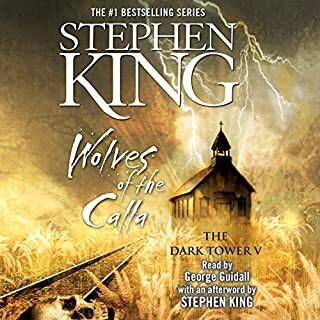 If you begin reading this tale from the start, you will hear him in <U>The Gunslinger</U> and, I suspect, be happy to hear his return with <U>Wolves of the Calla</U>. If there is anything that I could say is missing from this final tale, it is a true "Afterword" from the author but in truth, what more could he have had to say, that hasn't been said already, both in previous forwards and afterwords, as well as within the narrative itself, especially the words of this final and revealing volume. Thankee Sai King. Fans of the Gunslinger will not be dissapointed in this book. 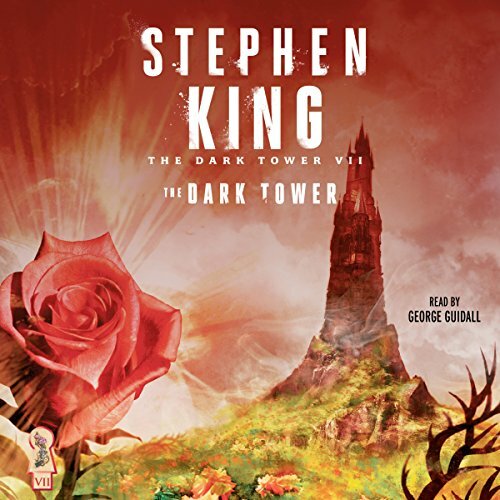 King's comfort and skill in telling the story of the Dark Tower continues to build. I highly recommend it. King writes for a listening audience. There are many reviews here already about the content, so I won't repeat them. I thoroughly enjoyed the content, even with its flaws. Kudos to the narrator! Rarely does one person so well depict both male and female characters, good guys and bad guys. 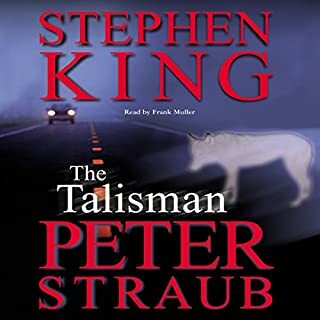 This is the first SK book that I've listened to, so I've never heard him before, but he greatly added to my experience. 2. The ending, to careful readers or nitpickers like me, should come as no great surprise. It's been masterfully and subtly telegraphed throughout the entire 7 book run. 3. King himself gives you an "out" before he starts controversial this ending. And not to be a dimestore psychologist here, this choice echos the choices the Gunslinger has made, and continues to make. 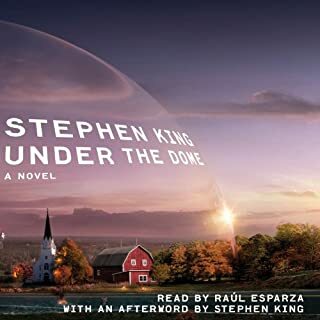 Are you open minded and content to enjoy the story up to that point, or are you driven to the end, no matter what the consequences, like our favorite "long, tall and ugly" cowboy? This is by far the best book I have read in a very long time. Matter of fact, it may even be the best. All of your questions are answered, there are no loose strings, and most of all, I was so engrossed in the book that I forgot to take my lunch break. So, if you're contemplating downloading this book, than you've already read the first six, (If not, you're lost- Go download 'The Gunslinger') and you don't need this review, because you're going to download it anyway- Resistance is futile. Let's just say that all of my co-workers are fighing over who gets to borrow the cd when I am done with it. Long days and pleasant nights to you all, and happy listening. I think I may have been the first to notice and buy this book today, so I think it is fitting that I write the first review. 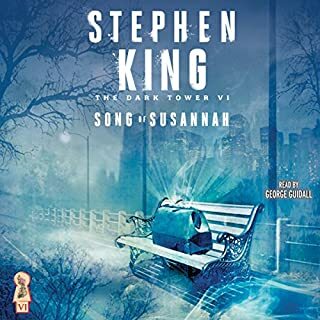 DTVII is the long awaited conclusion to the Dark Tower series by Stephen King. If you have not read or listened to the first six, DO NOT GET THIS BOOK FIRST. They are, however, in no such agreement over the conclusion. It is impossible to please everyone. My feelings are that the story concludes in the only way that I would have accepted. One piece of advice is worth giving though: When you reach the Coda, if you are happy with the story up to that point and can come up with the willpower to do so, stop there. One other thing: If you are going to post a review, please do not reveal anything of the content of the story. No matter how you feel, it is impolite and inconsiderate to reveal things to others before they even have the chance to learn for themselves. 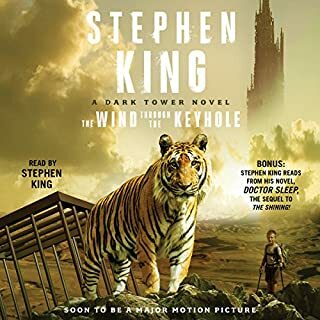 The Dark Tower is w/out a doubt, the best series I've ever read or listened to. I hate that this is the last book of the bunch. When the series is over, no matter how many times I listen to the series, I feel depressed, like my dog died or something. The book itself is really good. i was afraid that with the books leading up to this being SO GOOD, that it would be utterly impossible to have the ending not be dissappointing. Somehow, Mr. King did the impossible though. However, the journey to the tower really was the whole point, not the way it ends, and King left a message saying something to this affect. he leaves us the option to stop at one ending, or to read on a bit further. no matter where you choose to stop the story, i'll bet my watch and warrant that you'll be thoroughly satisfied. 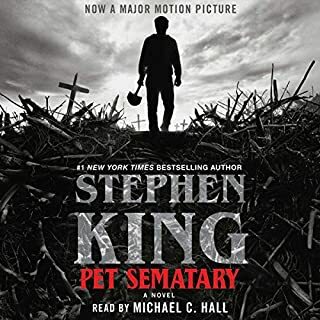 I've been reading this series for many years and have enjoyed it more then any other King novel. I have been anticipating this last book eagerly. 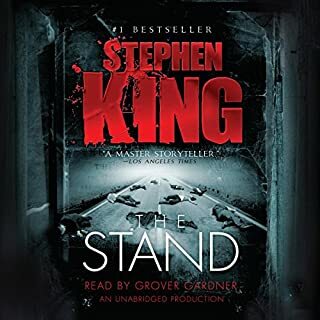 After reading some of the other reviews I was tempted to not buy either the book version or the audio version because i didnt want to be disappointed and I knew I would read the actual ending even after Kings warning and the negative reviews. 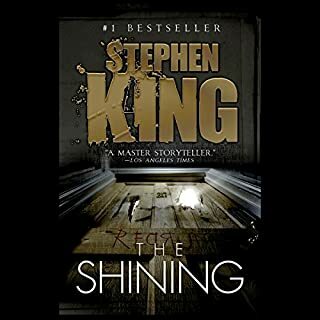 I won't ruin it for the other readers but I will say I am so glad I downloaded this and I have already went out and purchased the book version as well. This was a fantastic ending to one heck of a trip. Very good Job you did here King, ty. And as far as your ending, I loved it and I cant believe how upset some of the other readers reacted to it. To me, the ending makes this story never die and never end. I was actually quite pleased with the ending, I like how he teased us by implying that there would be none, and then gave it to us. I would agree with other reviews that stated that this was the only way it COULD end. I was displeased with the series from "Song of Susanna" onward, because King writing himself into the series ruined my suspension of disbelief and made me stop caring about the characters, similar to Arnold Schwarzenegger's "Last Action Hero"; it's hard to care about characters when the narrative points out that they aren't real. This book redeemed the last part of the series for me somewhat. Overall, with the Gold plan this series was a great buy, I saved at least $100 over the itunes price and got over 100 hours of listening. Great value.